Below are questions and answers that are often asked by our clients in the Baltimore area. Q. How much does it cost to remove a tree? A. The cost of tree removal varies depending on the height of the tree, the size of its crown, the size of its trunk, and its location. Since these factors vary significantly for each tree, it is difficult to provide generalized estimates. All variables aside, a starting point for budgeting your tree removal can be based on the following ranges. In addition, costs can also be lower if the tree is located in an area where there is plenty of space to work with and risks to structure are very low. Conversely, if the tree is close to power lines or is extremely dead, the cost can go up due to the additional hazards. Q. How much does it cost to trim a tree? The cost of trimming a tree is based on the same factors as tree removal, the height, size of the crown, and location. The tree's crown size and location have the largest impact on the cost of trimming. A starting point for budgeting tree trimming can be based on the following ranges. Q. Will my homeowners insurance cover the cost to remove or trim a tree? A. In most cases tree removal and trimming is considered preventative maintenance and is not covered by insurance. The exception to this is when an otherwise healthy tree has been damaged by a storm and subsequently caused damage to property covered under the insurance policy. Q. How much does it cost to remove a stump? A. Stump removal is based on the type of tree, the diameter of the stump, and the large roots that are visible on the surface. Soft woods such as conifers (pine, spruce, etc) are cheaper to remove than hard woods such as oak and maple. The general guideline for stump removal is $2 to $3 per inch. For example a pine stump that is 24 inches in diameter would cost around $50 to remove, and an oak stump 24 inches in diameter would cost around $75 to remove. Q. What should I look for when choosing a tree service? 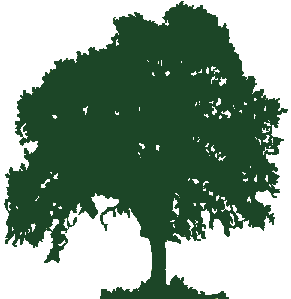 A. Verify that the tree company is insured and licensed in the state of Maryland. Q. Will my yard be damaged during tree removal or service? A. In most cases your yard will have little to no damage. We take extra precautions if you are concerned about damage to your yard. In cases of inclement weather or wet conditions, we may reschedule your service to avoid damage. If the ground is soft and we need to put equipment in your yard, we use very thick plywood as a temporary "road" to provide protection against damage. In addition, we will not put equipment in your yard without approval. Q. Will yard damage be repaired after tree services are completed? A. If we anticipate there to be significant damage as a result of our work we will let you know in advance. We will not repair damages unless they are significant or you otherwise request it. If significant damage is anticipated, the cost of repairing your yard will be factored into our estimate and we will apply topsoil and grass seed when we have completed the work. Q. How can I tell if my tree needs to be trimmed? A. If you answer yes to any of the following questions, you may benefit from having your tree trimmed. When you mow or clean your yard are there often sticks and leaves on the ground? Is a shaded area of your yard often soft or wet due to lack of sunlight? Have you noticed areas around your house are damp or your house is showing signs of staining or algae growth? Does the tree have many small branches on the inside and is very thick with leaves that prevent sunlight from penetrating through the tree? Does the tree have multiple branches that appear dead or have no leaves? Q. How can I tell if my tree is dying? Bark falling off the tree. Vertical cracks in the tree. Sections of foliage that are pale green or yellower than foliage througout the rest of the tree. Limbs concentrated on a specific side of the tree that are yellowed or have no leaves. A tree that loses its leaves earlier or grows leaves later than trees of the same species in the same area. Fungal growth such as mushrooms on branches or the trunk. Q. What time of year is best for trimming trees? A. Tree trimming can be performed throughout the year, but the best time to trim or prune trees is late winter through early summer. The reason for this timing is that trees are in their most active state of growth and cuts made to the tree heal more quickly.